It is a dark fantasy which has a very awkward heroine. Khosa is the “given” who is supposed to be sacrificed to the sea for the Kingdom of Stille to have prosperity and peace. This is her destiny but it could not be fulfilled because she does not have an offspring yet. To save her from this fate, Vincent executes a plan which would let her live. However, this plan is like transferring a bird from one cage to another. Even if the Kingdom of Stille does not sacrfice Khosa, war is brewing and the sea is about to kill everybody. How Vincent and Vincent’s father perceive Dara.. I gave this book a 4.5 hearts rating because I enjoyed reading it. However, It was annoying reading some lines from Vincent and Vincent’s father concerning Dara. Some thoughts were lecherous and very demeaning. Also, the 4 point of views for me did not work very well in this story. I felt that I was just hit with the story and killings. The setting, characters were very confusing. In my opinion, the first chapters were messy. I only understood the story when Khosa arrived in the Kingdom of Stille. Despite this, I like that there were different characters in the story. Also, the way that the prince saved Khosa showed that he was really cunning despite the good image he wanted to show Khosa.The story was very complex that it was confusing at first. But as I read the other chapters, I slowly understood the story. Just to satisfy my curiosity, I would read the second book. I hope it would talk about the life of Khosa after being saved. If not, I would like to know more about the Indiri (race of Donil and Dara). Also, I would like to know which will destroy the Kingdom of Stille: a giant wave (tsunami), flood from the sea or War against the Pietrans. Disclaimer: This review is my honest opinion on the story. I did not receive any kind of compensation for reading and reviewing this book. I am under no obligation to write a positive review. 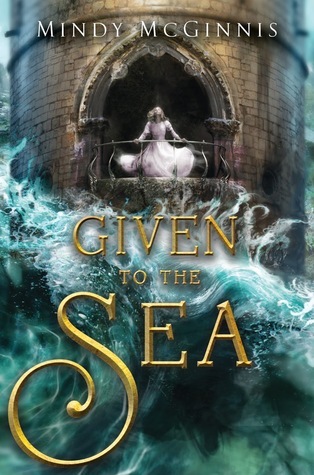 I purchased my own copy of Given to the Sea by Mindy McGinnis. The book photo and synopsis here is from goodreads.com.